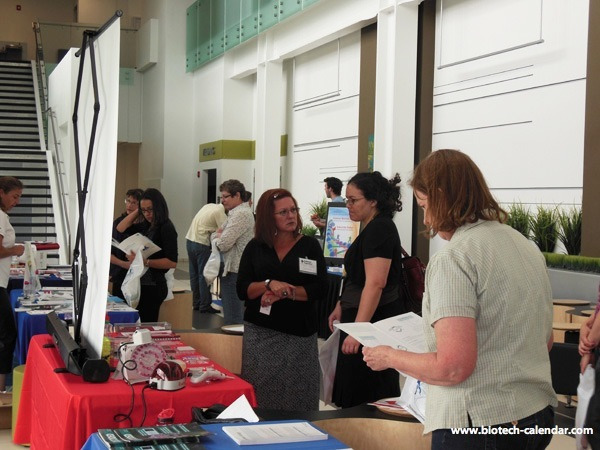 Biotechnology Calendar, Inc. invites lab suppliers and biotechnology vendors in Nevada to attend our annual Reno BioResearch Product Faire™ Event at the University of Nevada on June 3rd, 2013. Life science marketing events like those organized by Biotechnology Calendar, Inc. are a great way to generate laboratory sales leads, and our trade show attendees know that a Biotechnology Calendar, Inc. event will introduce them to a number of life science solutions to problems they encounter in the lab. Researchers at the University of Nevada are world-renowned for their pioneering work in a number of fields, but none more so than agriculture, renewable energy, earthquake engineering and environmental literature. According to the University of Nevada website, the school has over $80 million in research expenditures, a number that has nearly doubled during the past 10 years. The University of Nevada is also one of the top 120 universities in the nation for funded research, according to the Carnegie Foundation. A recent NSF grant has been used at the University of Nevada, Reno to research an easier and less expensive way to sort microalgae cells for biofuel production. The study received $97,928 in research funding. "High-frequency sorting methods may have other applications beyond microalgae, such as drug discovery and cancer research," said assistant professor Emil Geiger. "We'll collaborate with the medical school to explore other biological processes. The interdisciplinary nature of the project will also provide excellent training opportunities for students, giving them exposure to both microtechnology and microbiology." The University of Nevada, Reno also receives a great deal of NIH and NSF funding that’s available to researchers to spend on life science solutions. In 2012, the NIH gave $18.7 million in research funding to the University of Nevada, Reno. The school also received $4.5 million from the NSF in 2012. Research partnerships with business drive an entrepreneurial spirit at the University of Nevada, Reno. The university has 30 active business and industry partnerships, and it is estimated that $73 million in research and grants last year had a regional impact of nearly $300 million for the state of Nevada. Attendees came from seven different research buildings. Attendees came from seven departments around campus. Biotechnology Calendar, Inc. is a science research marketing and event-planning company that helps lab suppliers market life science solutions and generate laboratory sales leads at our life science marketing events. If you are a lab supplier interested in attending an event closer to home, we encourage you to check out our 2013 calendar of events. For more funding information on the University of Nevada, Reno, click on the button below. For Reno BioResearch Product Faire™ Event special offers, click here.